At Hammerworks we handcraft our “Coach” New England Style Colonial Post Lantern P105 in two sizes. Therefore if you love the look but prefer Colonial Post Lanterns on a smaller scale choose Colonial Style Post Light Small Coach P105A. Of course for either size we offer a variety of finish options for our handcrafted Coach Wall Lanterns. Thus we custom make each Colonial Post Lantern(p102) in your choice of verdigris copper, painted black, antique brass and antique copper. 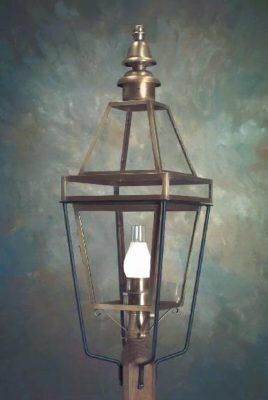 Consequently we guarantee our custom Colonial Post Lanterns to last for years to come. Especially relevant we make our New England Style Colonial Post Lantern with an industry standard 3″ post fitter. 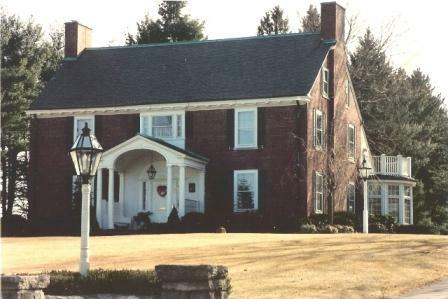 Therefore no matter which Colonial Style Light Poles you choose they will mount securely. We offer a selection of Colonial Wall Lanterns and Colonial Hanging Lights to match your Colonial Post Lanterns. Thus you can choose from our available sizes and styles of complementary fixtures for your Coach Post Lantern. New England Traditional Wall Lantern Small Coach WM105A is also made in the larger WM105 model. Furthermore you can choose between Colonial Style Hanging Lantern Coach H105A and the larger H105. Hence you can easily complete your architectural design scheme with style.